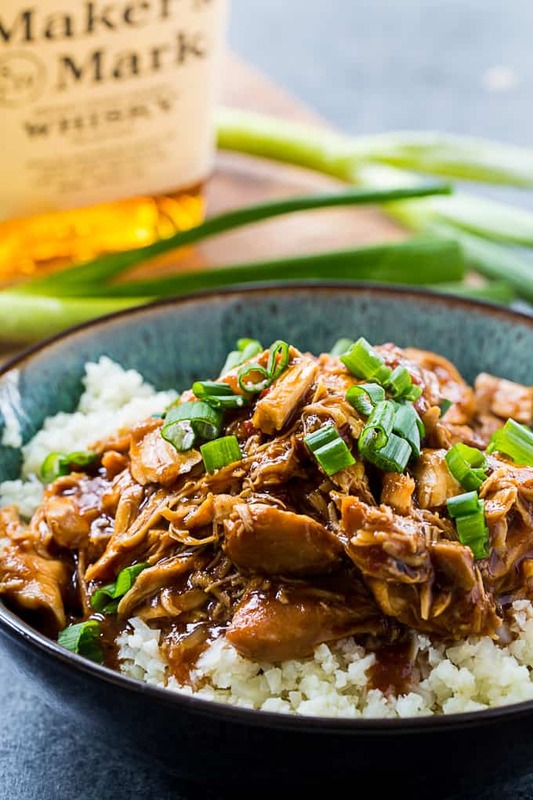 Crock Pot Low Carb Bourbon Chicken is an easy, sweet and savory southern crock pot meal with lots of bourbon flavor. 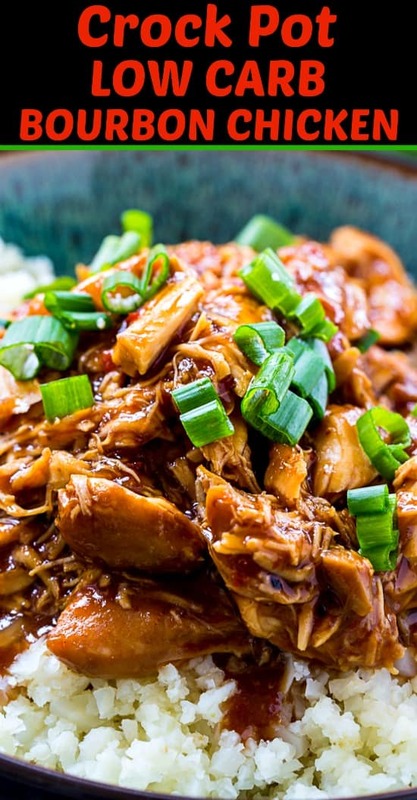 Typically Bourbon Chicken is a high carb meal because it is loaded with sugar. But not this low carb version. Using chicken tenderloins makes this recipe cook super quick and there’s only about 5 minutes of prep time. The sauce is made up of bourbon, soy sauce, sugar-free ketchup, brown sugar erythritol, ground ginger, and crushed red pepper flakes. It is the perfect blend of salty, sweet, and spicy! This recipe is great for the keto diet and only has 2.5 net carbs! Place the chicken tenderloins in a lightly greased slow cooker. Mix together the sauce ingredients and pour over the chicken. Add some Xanthan Gum if you want to thicken the sauce. Cook another 5 minutes on HIGH. Shred the chicken and you are ready to dig in! You can use chicken breasts and double the cooking time. You will need brown sugar erythritol. I use Swerve. To keep this meal low carb, serve it over caulirice instead or rice. For convenience, you can buy frozen caulirice at the grocery store. Find it in the freezer section. Crock Pot Low Carb Bourbon Chicken is an easy, sweet and savory southern crock pot meal with lots of bourbon flavor. Lightly grease a 4 or 6-quart slow cooker. Add chicken tenderloins. 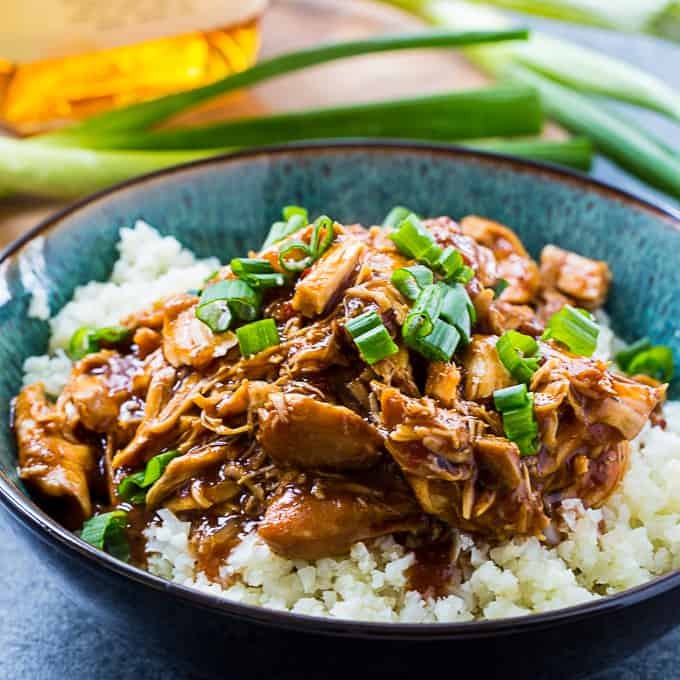 In a small bowl, stir together bourbon, soy sauce, ketchup, brown sugar erythritol, apple cider vinegar, ginger, red pepper flakes, and pepper. Pour over chicken. 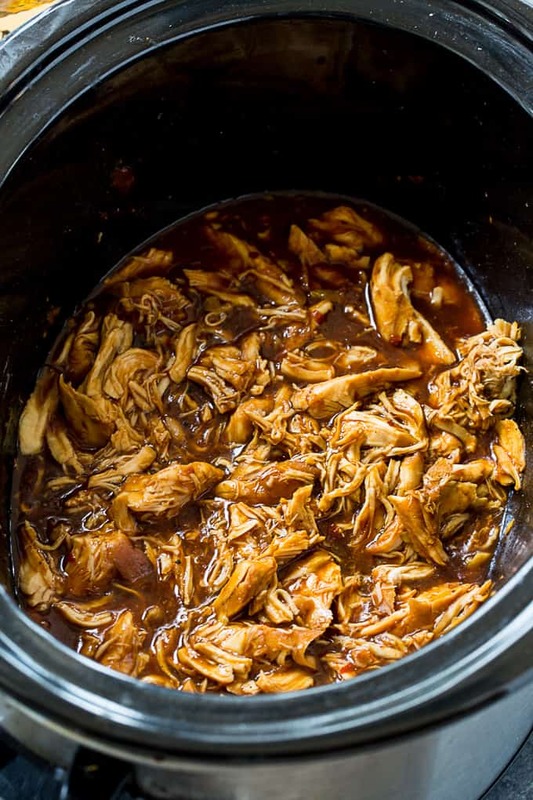 Cover slow cooker and cook on LOW for 3 hours. If you want to thicken the sauce, sprinkle the xanthan gum just a little at a time into the crock pot and whisk very well. It will clump if you add it too fast. Turn crock pot to high for 5 minutes. 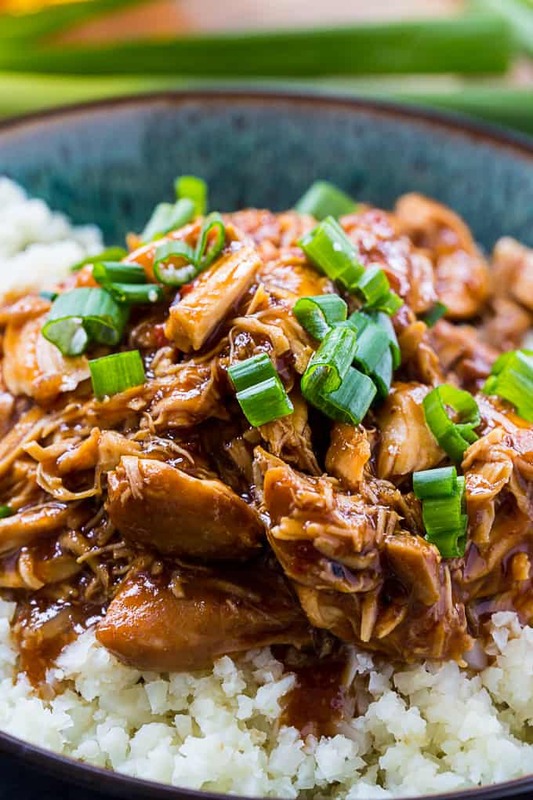 Shred chicken with 2 forks and serve with green onions over caulirice.